The rental value of your property is directly related to the property’s value. As a general rule of thumb, the rent should usually be charged at around 0.2-0.5% per cent of the property’s value. We can carry out a complete rental valuation for you to help you find out how much you can rent your house for – so for peace of mind, contact us today. Over the years we have rented many different types of properties across the local rental market – covering Swansea, Port Talbot, Neathand Llanelli – so we are well equipped with expert knowledge to help you rent your home. What’s more, you’ll get a realistic, but more importantly an achievable, rental price. You’re likely to be reading this as you wish to rent your house out. And the fundamental goal to renting your house is harbouring yourself a healthy return on investment. We can offer you valuable advice on exactly how to do this – the very last thing you want is to make a loss! That’s why we take extra time to get to know you personally. We like to treat your property as if it were our own. From the initial valuation, to the final negotiations – we will endeavour to find the perfect tenant who will pay your desired rate. Opting to use an experienced professional is a smart choice in making sure you know exactly how much to rent your house while simultaneously making a strong return on investment. Let us explain. Most people make the mistake of strictly adhering to the 0.2-0.5% rental charge rule, when really it’s more of a guideline than a set rule. If your property has quite a substantial value, then naturally the rental value will be higher. But then you run the risk of alienating potential tenants and ultimately limit your chances of renting the property. We can advise you on a specific price to charge that still brings you a profit. How? We calculate the total expenses of running the property, such as mortgage payments, property taxes and insurance to determine how much rent you should charge if you plan on making a specific profit percentage. We can test the rent price of your property when marketing it across our website and social media. Depending on the response, we can then change it at the click of a button if the price wasn’t generating the desired interest. We find out prices of similar rental properties, check newspapers, local rental brochures and online sources. In a nutshell, we do all the leg work for you. What you ultimately benefit from is the service we provide you with after the initial rental valuation. Negotiating rental prices to find your perfect tenant. 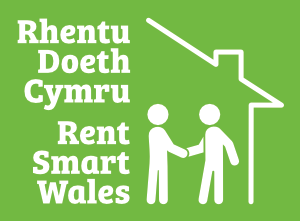 If you’d like to know more about how to rent your house then you can visit our Landlords or Rental Deposits pages. Or, alternatively, you can get in touch by contacting us. We’re more than happy to help.